۱ Expedition 38 Flight Engineer Mike Hopkins of NASA gives a thumbs up as he is helped from the Soyuz Capsule just minutes after he, Commander Oleg Kotov of the Russian Federal Space Agency and Flight Engineer Sergey Ryazanskiy of Roscosmos, landed in their Soyuz TMA-10M spacecraft near the town of Zhezkazgan, Kazakhstan. 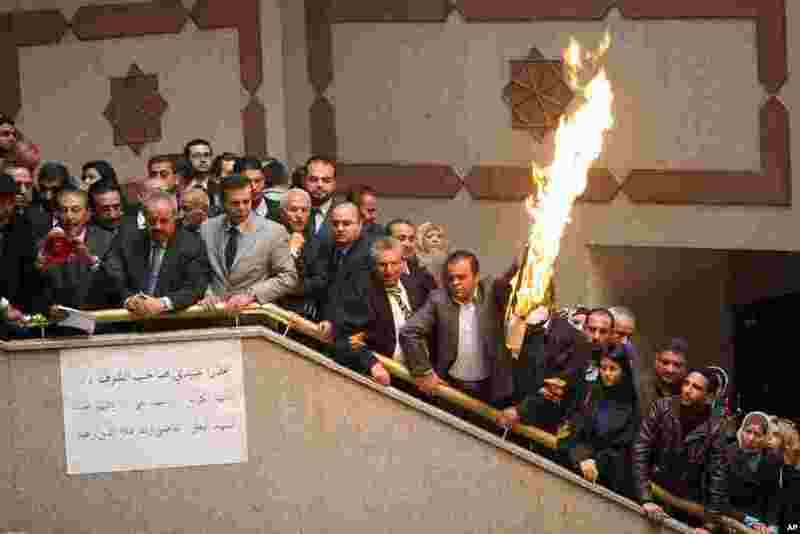 ۲ Jordanian lawyers and judges burn a representation of the Israeli flag during a strike inside the Palace of Justice in Amman, protesting the killing of Jordanian judge Raed Zueter by Israeli soldiers. The protesters demand the deportation of the Israeli ambassador and the immediate release of Ahmed Daqamseh. Daqamseh is serving a life sentence for killing Israeli schoolgirls in 1997 during an outing near Jordan's northwestern border with Israel. 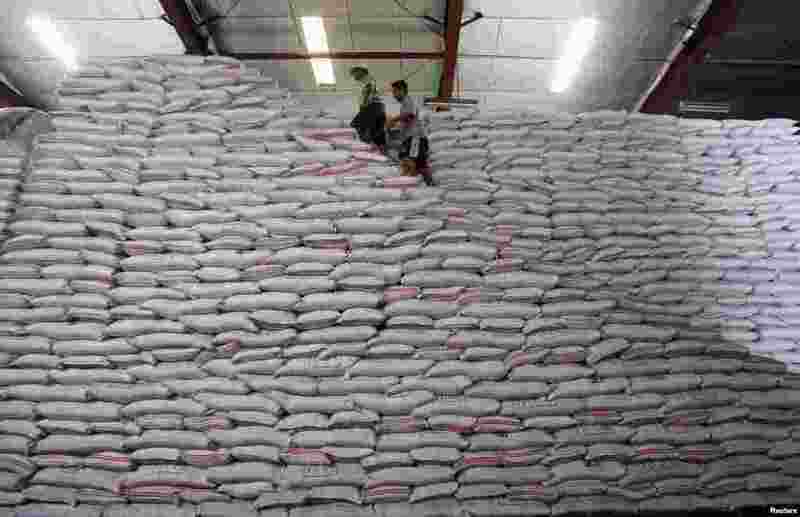 ۳ National Food Authority workers walk atop sacks of rice as they make an inventory of rice stocks at a government rice warehouse in Taguig, Metro Manila, Philippines. 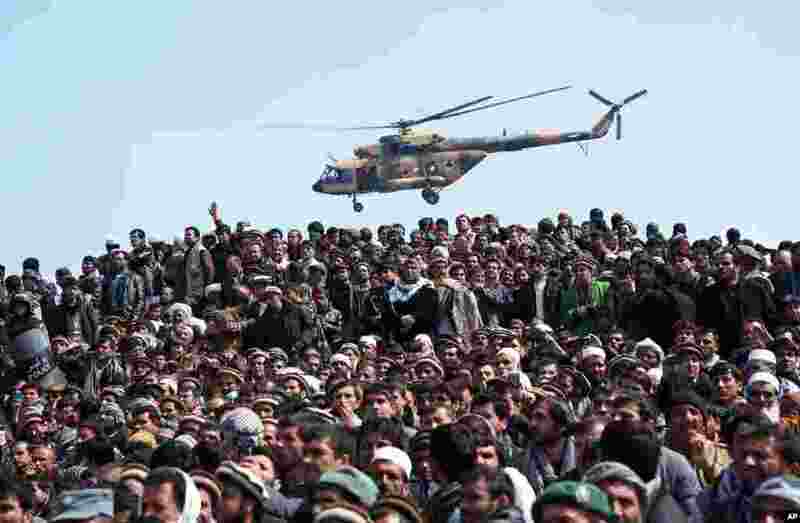 ۴ An Afghan National Army (ANA) helicopter flies overhead as Afghan men attend the burial of the country's influential Vice President Mohammad Qasim Fahim during his funeral procession in Kabul. 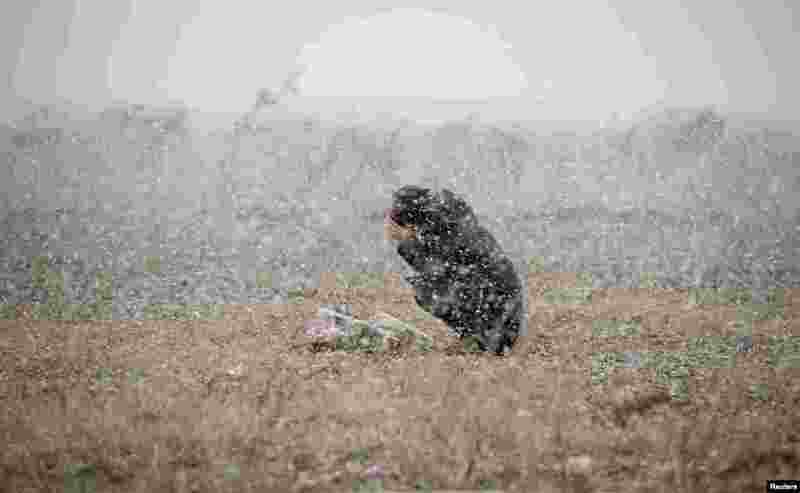 ۵ A woman prays in the snowfall for the deceased of the March 11, 2011 earthquake and tsunami in Rikuzentakata, Iwate prefecture, Japan, in this photo taken by Kyodo. 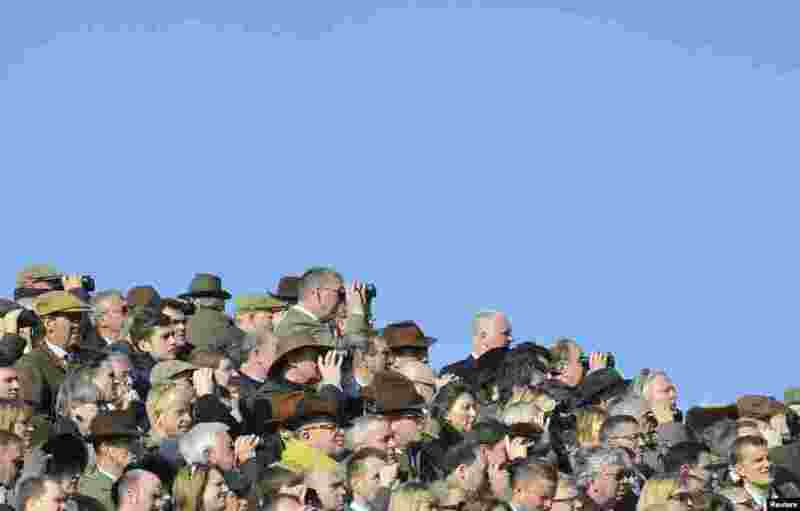 ۶ Racegoers watch horse racing on the first day of the Cheltenham Festival in Gloucestershire, western England. 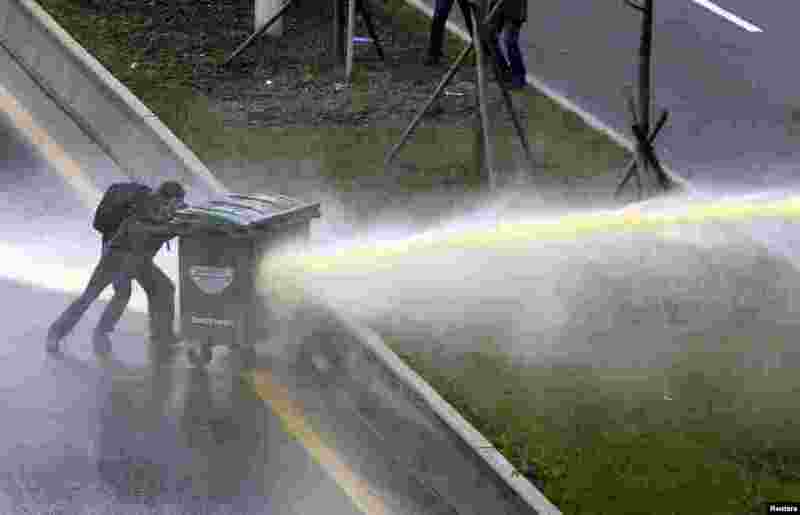 ۷ Riot police use a water cannon to disperse anti-government protesters near the Middle East Technical University (ODTU) in Ankara, Turkey. A 15-year-old Turkish boy, who suffered a head injury during anti-government protests in Istanbul last June, died after spending months in a coma, triggering renewed clashes between police and his family's supporters. ۸ 'Female' robots Tessy (L) and Tess (R), wearing white stilletoes, pole dance during a demonstration on the Tobit Software stand at the CeBIT trade fair in Hanover, Germany, Mar. 10, 2014.